The world of structural and architectural design has begun to reconsider its long held rigid principles while embrace flexibility and customization. However, the interior design sub-sector of architecture have since thrown the old rule book out the window prior to this architectural evolution. Today almost everyone wants that personal touch in his or her living space. Thankfully, this is possible no matter the size of your house and the budget you have allocated for the project. Here are a few simple tips to getting a living space that reflects your personal taste. Think painter, not a two year old with a paintbrush. There are creative ways to combine your favorite colors to come up with an inviting and effortlessly beautiful space. Come up with a color scheme based on your favorite colors that will play throughout the house. How you combine these hues is largely a matter of individual taste. 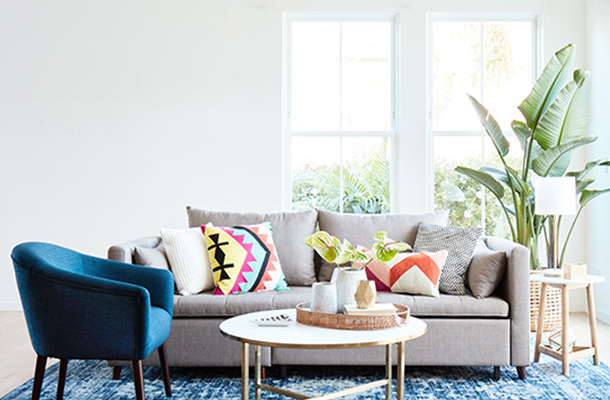 Just make sure you do not overlook the seemingly inconspicuous items in your space such as the throw pillows on your couch, the vase on the dining table etc and that you also do not go color crazy. I’ve been to many art galleries and I can conclusively say that nothing tells a story quite like hand crafted paintings. Consider incorporating a hand crafted portrait in your living space. Use the portraits hanging in your home to tell the story you want to them to tell, perhaps about your family history, your travels, your accolades etc. There are many hand painted portrait service sites that offer on demand painting services. You will need to upload the picture you want painted and choose from a plethora of different paint styles and portrait sizes. Another small tip here: when framing the portrait, use a frame color that is part of your color scheme so that it blends in seamlessly with the rest of the space. Your design choices should not leave your space feeling like a nightmare for the claustrophobic. However, the answer to this is not throwing everything out the window; there are creative ways to incorporate a bit of everything, but just a bit. Shelves, for instance, can take up a lot of space. First thing to do here is to have only a small number of books – the most important ones – on display. Instead of an intrusive shelf, consider artistically cutting grooves in your wall corners where you can keep these books. These grooves have to look natural and should be the same color as the walls. Hire a capable hand if you cannot do this yourself. Also, you can arrange some books in a neat pile on your center table, from largest book below to the smallest atop the pile. This way your important texts are on display but out of the way. Do your research and come up with other ways to arrange your stuff such that they may be visible without serving as obstructions.